For assistance with the IEEE Senior membership application, please contact AESS BoG member George Schmidt. IEEE is pleased to introduce a new IEEE data repository service called IEEE DataPort. After gathering input from IEEE members and performing further research, IEEE DataPort was developed and is now LIVE and ready for use by all society members. IEEE DataPort provides many benefits to IEEE Society members beyond what other data repository services can offer. To learn more about the valuable capabilities of IEEE DataPort and the key differentiators that set IEEE DataPort apart from other data repositories, visit here. IEEE DataPort is ramping up quickly with new users and new datasets. Go to the IEEE DataPort site and view the valuable capabilities it offers. For those of you in the Southern Hemisphere, welcome to Fall. For those in the Northern Hemisphere, welcome to Spring. I am delighted to have this edition of the Quarterly Email Blast (QEB) welcome you into the new season. Accompanying this welcome is my heartfelt thanks to all the volunteers who dedicate time and energy to AESS. The QEB is our Society newsletter and contains important information on the wide variety of activities going on in the Society. 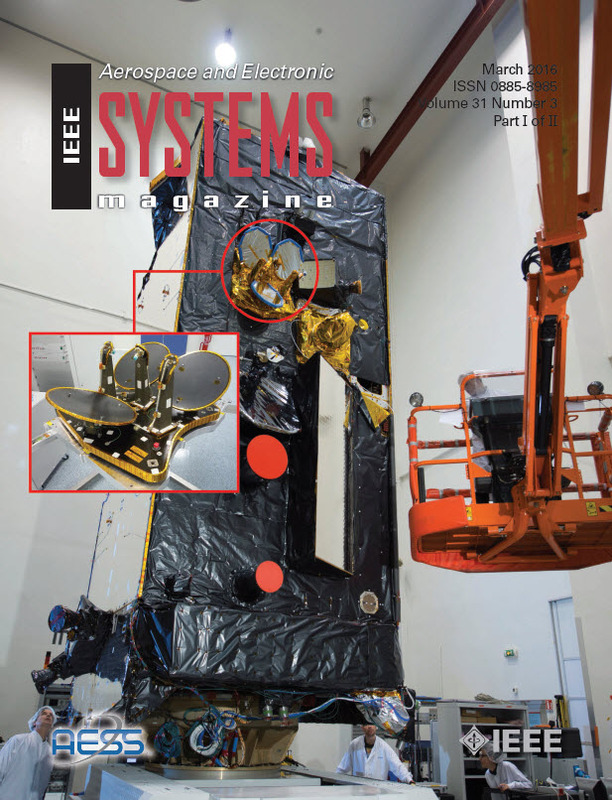 In this issue you will find information on AESS-sponsored conferences, AESS Technical Panel information, reports on Chapter activities, summaries of upcoming issues of our Systems Magazine and Transactions on AESS. A number of prestigious awards will be given this quarter at the conferences we sponsor. If you attend any of these conferences, please take a moment to congratulate the award winners. You will also find news from IEEE in this newsletter announcing the launch of the IEEE DataPort. Enjoy this edition of the QEB! I hope it provides you with a roadmap of where you find content and information, activities, published papers, or even our various social networking connections, to enrich your professional life. Robert Kraus, Los Alamos Nat. Lab. I'm just a nerd who likes to do nerd stuff. I did 4 years in the US Air Force as a Medical Laboratory Technician. After my military service, I attended Austin Community College where I earned an Associate's Degree in Chemistry. This gave me the foundation I needed to pursue a Bachelor's in Electrical Engineering, so I transferred to the University of Texas at San Antonio. I am currently in a Brain Computer Interface/Signal Processing Laboratory and I tutor engineering math courses for UTSA. I served as my university's Eta Kappa Nu Chapter President and stay active within the local community through mentoring underclassmen and chairing our HKN Industrial Outreach Committee. As the AESS Undergraduate Student Representative, there are a few things I would like to help happen. My main goal is to increase student participation. After gaining a better idea of the AESS student body over the past year, I feel students would be best served by drawing them to events and Chapters already in place within the society. This way we are building on pre-existing success and reducing the workload. 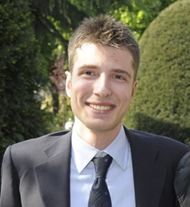 Federico Lombardi graduated (B.Sc. and M.Sc.) from the Politecnico di Milano, Italy, with a specialisation in radar remote sensing and signal processing. After the completion of his studies, he won a two - year research fellowship for a European Project related to the mapping of underground urban structures with Ground Penetrating Radar. He then joined the aerospace industry as a System Engineer working on airborne infrared search-and-track sensors for fighter aircraft. Finally, in 2015 he moved back to academia and joined the Radar Group at University College London, as a research student, where he is currently completing his second year. The central topic of the PhD research, funded by a UK registered Charity Find A Better Way and run in close cooperation with Cranfield University, is radar imaging of antipersonnel landmines, with emphasis on the development of a novel bistatic system configuration for improving performance and coverage. He believes one of the most important goals is to develop students technically and professionally, letting them feel that they have influence. Give responsibility to students, collect the student's opinion, goals and concerns so that a "virtuous circle" can be built. It is the leaders' responsibility to seek interaction, as well as is the students' opportunity to understand how AES Society works for young engineers and what resources are available for their careers. We have to provide the right service at the right point of the students' career, acting as a high-quality help centre but bearing in mind that this should not reproduce what universities already provide. 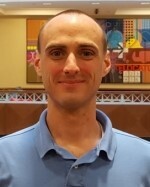 The Robert T. Hill Best Dissertation Award is an annual IEEE AESS award to recognize candidates that have recently received a Ph.D. degree and have written an outstanding Ph.D. dissertation that has made particularly noteworthy contributions in a field of interest of the Aerospace and Electronic Systems Society. Its purpose is to grant international recognition for the most outstanding Ph.D. dissertation by an AESS member in the year she/he is nominated. The winner of this distinguished award receives a commemorative plaque and a US$1000 honorarium. Robert (Bob) Tyler Hill (1935 - 2014) was an electrical engineer and Life Fellow of IEEE who pioneered the development of ship-borne phased array radar systems and championed international cooperation between radar engineers. After his retirement, Bob worked with great enthusiasm, energy and success as an educator and proponent of the radar art, showing particular dedication to nurturing and inspiring the next generation of young engineers. 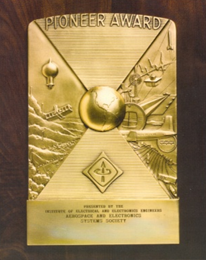 This AESS award was dedicated to rising young engineers was established and named after Robert Tyler Hill to honor his remarkable legacy in technical excellence, international collaboration, and professional education. Chair of 2017 Robert T. Hill Award Committee & AESS Vice President for Education. The Pioneer Award is given annually to an individual or team for "contributions significant to bringing into being systems that are still in existence after 20 years." These systems should fall within the specific areas of interest of the Society; that is, electronic and aerospace systems. The contribution(s) for which the award is bestowed are to have been made at least twenty (20) years prior to the year of the award, to ensure proper historical perspective. It is not a condition that any awardee should have been sole or original inventor or developer; "significant contribution" of a specific nature is the key criterion. Nationality, residence, membership in AESS, IEEE or any other organization are not factors. The Pioneer Award has been presented yearly since 1949. A list of winners and the award nomination form can be found on the AESS website: Select Awards under the Membership tab. Nominations are due by 31 July for the current year. Feel free to contact me at the email or phone number below. Submittals can be made via email or mailed to the address below. The winner(s) will receive a handsome cast bronze plaque and a US$3,000 prize, usually at an AESS sponsored or cosponsored conference in the fall. Honoring such persons and recalling their achievements is considered an important function of our professional organization. Please nominate a worthy candidate, seeing your candidate win is a rewarding experience. Nominations, once received, may be carried over to succeeding years for continued considerations. The Judith A. Resnik Space Award is an annual AESS award to recognize candidates that have provided outstanding contributions to space engineering in the AESS Fields of Interest; i.e., "the organization, systems engineering, design, development, integration, and operation of complex systems for space, air, ocean, or ground environments." The winner will receive a handsome cast bronze plaque and a US$2,000 prize, usually at an AESS-sponsored or cosponsored conference in the fall. Honoring such persons for their achievements is considered an important function of our professional organization. Nominations are due by 31 July of the current year. The nomination package is to include, besides the filled out AESS nomination form, a minimum of three endorsement letters by recognized space oriented experts who have familiarity with the nominee's accomplishments and to describe the merit of the nominee's contributions to the AESS Field of Interest. See: http://www.ieee-aess.org/ for the AESS Field of Interests and for more details on the award. Please nominate a worthy candidate, seeing your candidate win is a rewarding experience. The IEEE AUTOTESTCON Frank McGinnis Professional Achievement Award is given in memory of the late Frank McGinnis of the Sperry Corporation, who was instrumental in bringing military automated test to the forefront of visibility for government and industry alike. The Award was established to recognize managers or professionals in the ATE industry who have demonstrated long-term leadership in the field. The Award is a renaming of the former AUTOTESTCON “Man Of The Year” award, and is presented at the AUTOTESTCON awards luncheon by the AUTOTESTCON Board Chair or Vice-Chair. The Award includes a check, in the amount of $2,000.00, plus a suitable permanent trophy. Please use this Nomination Form to nominate a candidate for the IEEE AUTOTESTCON Frank McGinnis Professional Achievement Award. 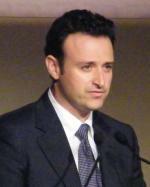 The McGinnis Award may only be received once by the same individual. The former "AUTOTESTCON Man Of The Year" is considered the predecessor award to the McGinnis award, and recipients of this award are included in this eligibility determination. The AESS has implemented this new program to help connect students and young professionals with more experienced AESS members for two-way exchange. Since 2014 several IEEE student branches from Bogota, and Zona Centro Subsection of Colombia in cooperation with some public offices and private supporters, launched the IEEE Innovation Challenge, which has gained interest among Latin American students. In fact, last year the contest had nine participant teams from Colombia, two from Peru and one from Nicaragua and closed with an audition at Bogota's Planetarium. This year, open to several categories from schoolers to doctorate students, the contest calls to design a system of unmanned aerial vehicles (drones) that allows direct monitoring and sampling in the basin of a river under study to identify the level of contamination, discriminating and quantifying the proportion of pollutants present and reporting to a center of data. Please visit the website for more information. Two of the Society's major Education initiatives are its Distinguished Lecturer and its Video Tutorials Program. In this issue we showcase one of our newest AESS Distinguished Lecturers and one of the tutorials Education provides to members. More details on our offerings and how to arrange a distinguished lecturer are found online at http://ieee-aess.org/education/home. Alfonso Farina offers a distinguished lecture on "Radar Adaptivity: Antenna Based Signal Processing Techniques". An interview with Prof. Farina is included in the June 2016 issue of IEEE A&E Systems Magazine. Maria Sabrina Greco, University of Pisa, offers three lectures including "Sea and Land Clutter Statistical Analysis and Modeling". 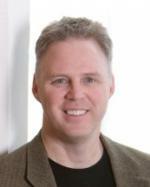 Hugh D. Griffiths, University College London, offers two lectures including "Bistatic and Multistatic Radar". Wolfgang Koch, Fraunhofer FKIE, offers two lectures including "Tracking and Sensor Data Fusion Methodological Framework and Selected Applications." The Society is offering an updated roster that includes 24 truly distinguished speakers as part of its 2017 Distinguished Lecturer Program. Consult the AESS Distinguished Lecturer website for more about each of our lecturers and their topics, and to discover how to bring a Distinguished Lecturer to your local event. The AESS Educational Video Tutorial System provides a selection of tutorials that tailored to meet the educational needs of our members. An introductory tutorial on navigation covers the subject in two parts suitable for young professionals, students, and those looking to explore a new AESS subject. 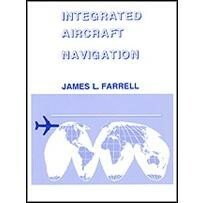 The first part is "Inertial Navigation" while the second "GPS/GNSS" focuses on satellite-based navigation. The lectures are based upon the presenter’s books, Integrated Aircraft Navigation and GNSS Aided Navigation and Tracking. These, along with the complete set of video tutorials, are available to members at our Educational Video Tutorial System (EVTS), which provides sign-in access to all its tutorials free to society members. The Joint SMC-AES Chapter of the IEEE Central Texas Section hosted a two-day meeting of the Gyro and Accelerometer Technical Panel (GAP) on 2-3 March 2017 at Southwest Research Institute in San Antonio, Texas. The primary focus of the GAP is to develop standards, standard terminology, specification formats, and test procedures for, and to promote understanding of components and systems for detection or measurement of linear or angular motion. The GAP is composed of government, industry, and academia representatives who are knowledgeable of the characteristics, operating principles, sources of error, and areas of application of these components. This technical panel develops and maintains IEEE Standards for sensors (292, 293, 517, 529, 647, 671, 813, 836, 952, 129, 1431, and 1554) and systems (1559 and 1780) and meets bimonthly to pursue these efforts. They are also starting efforts to collaborate with a new Navigation Systems Technical Panel by organizing a track on inertial navigation sensors and systems at the 2018 Position Location and Navigation Symposium cosponsored by the IEEE and Institute of Navigation. The next GAP meeting is scheduled for 8-9 May 2017 at Ideal Aerosmith in Phoenix, Arizona. For more information see the website or contact the technical panel chair, Randy Curey. 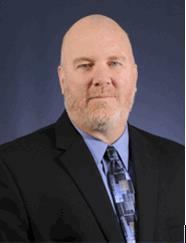 Those interested in joining and new Navigation Systems Technical Panel should contact Dr. Michael Braasch. Beginning in July 2016, IEEE AES Systems Magazine is being offered electronically. The print version is also mailed out to members. Please enjoy the electronic versions listed below. The 2017 Integrated Communications, Navigation and Surveillance Conference will be held in Herndon, VA on 18-20 April 2017. 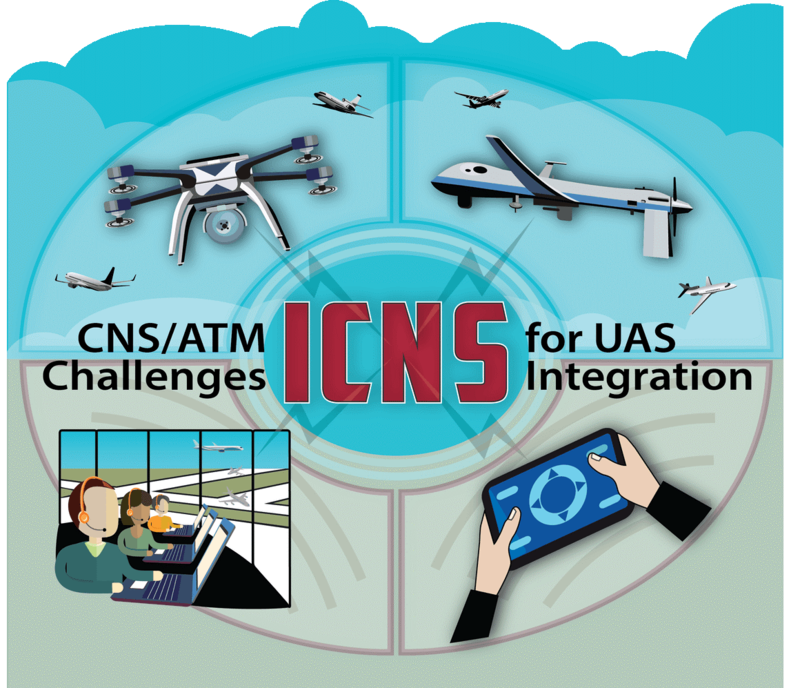 The Integrated Communications Navigation and Surveillance (ICNS) Conference is an international aviation conference addressing technology and policy advances in ICNS - new research, development and implementation programs and policies related to ICNS capabilities and applications. For more information about Radar Summer School, the Young Professionals Reception, and the Boeing Factory Tour, please visit the conference website. The 2017 IEEE International Workshop on Metrology for AeroSpace will be held in Padua, Italy on 21-23 June 2017. The IEEE International Workshop on Metrology for AeroSpace aims at reinforcing and supporting the collaborations among people working in developing instrumentation and measurement methods for aerospace. This year's edition will keep pursuing the state of the art and practice started over the past years. The 2017 IEEE/AIAA 36th Digital Avionics Systems Conference will be held in St. Petersburg, Florida on September 17-21, 2017. The 2017 European Navigation Conference will be held in Lausanne, Switzerland on 9-12 May 2017. For more information, please visit the conference website. The 2017 Saint Petersburg International Conference on Integrated Navigation Systems (ICINS) will be taking place in Saint Petersburg, Russia on 29-31 May 2017. For more information, visit the conference website. The 2017 8th International Conference on Recent Advances in Space Technologies (RAST) will be taking place in Istanbul, Turkey on 19-22 June 2017. For more information, visit the conference website. The 2017 18th International Radar Symposium will be taking place in Prague, Czech Republic on 28-30 June 2017. For more information, visit the conference website. The 2017 International Radar Conference will be held in Belfast, United Kingdon on 23-26 October 2017. For more information, visit the conference website. The International Carnahan Conference on Security Technology (ICCST 2017) will be held from 23 - 26 October 2017, in Madrid, Spain. The paper submission deadline is 28 April 2017. For more information, visit the conference website. The 2017 IEEE International Conference on Microwaves, Communications, Antennas and Electronic Systems (COMCAS) will take place in Tel aviv, Israel on 13-15 November 2017. For more information, please visit the conference website. The AESS Board of Governors Spring 2017 meeting will be held 12-13 May 2017 in Seattle, WA, USA. 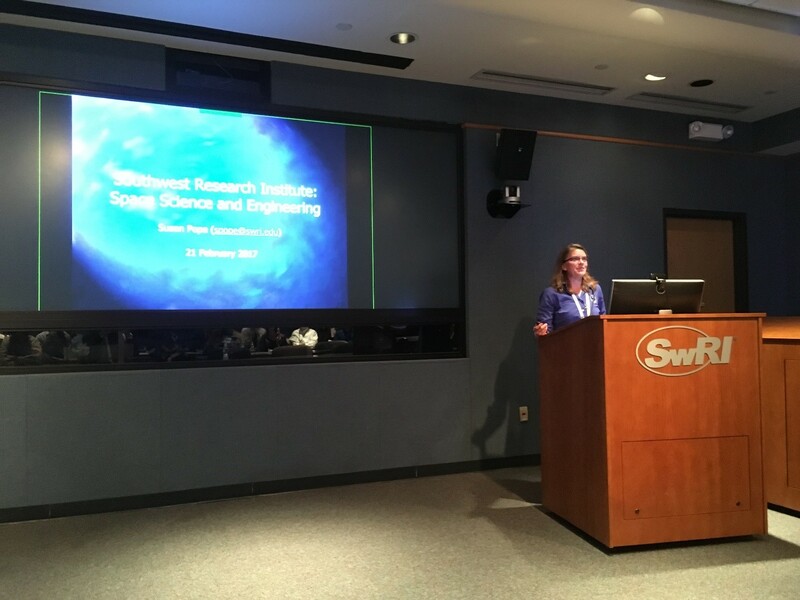 The Central Texas Section Joint Chapter of the Systems, Man, and Cybernetics Society and the Aerospace and Electronic Systems Society (Joint SMC-AES Chapter) met on Tuesday, 21 February 2017 to hear Ms. Susan Pope, Director of the Department of Space Instrumentation at Southwest Research Institute, speak on Space Science and Engineering in San Antonio. She touched on several unmanned space science and exploration missions that she worked on in the past including IMAGE, ROSETTA, New Horizons, IBEX, Juno, and Magnetospheric Multiscale (MMS). She also described her most recent mission, the Cyclone Global Navigation Satellite System (CYGNSS), which launched on 16 December 2016 and is undergoing commissioning at the present time. 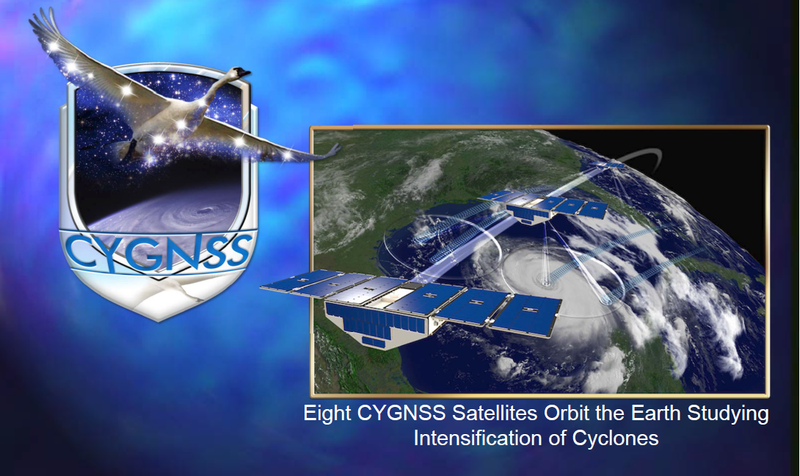 CYGNSS is NASA's first Earth System Science Pathfinder program. Its mission is to improve extreme weather predictions by using a constellation of eight small satellites that receive both direct and reflected GPS signals to measure wind speed at the ocean surface. The mission is led by Principal Investigator Dr. Chris Ruf at the University of Michigan Department of Atmospheric, Oceanic and Space Sciences. Southwest Research Institute provided program management, staffs the mission operations center, and built the eight satellites. The meeting was attended by 30 people including a couple that participated by webconference from remote sites. To celebrate Engineers Week (19-25 February) the Section provided free pizza, cookies, and beverages to those that attended the meeting. A unique feature of space sciences in San Antonio is a graduate study program offered by the University of Texas at San Antonio in collaboration with Southwest Research Institute, which provides 14 adjoint professors to support Ph.D. and masters programs in space science. Students participating in the program work on space projects funded by NASA and NSF at Southwest Research Institute. There are currently 14 graduate students enrolled in the program. Since its inception in 2005, the program has graduated 10 students, who are now employed at organizations including The Johns Hopkins University Applied Physics Laboratory, NASA Goddard Space Flight Center, The University of California at Berkeley, The European Space Research and Technology Center, The Swedish Institute of Space Physics, West Point, and Southwest Research Institute. 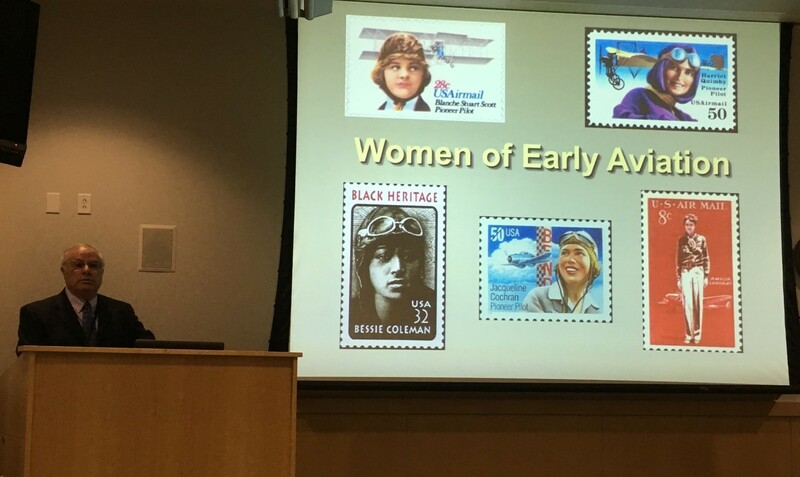 The IEEE Central Texas Section Joint SMC-AES Chapter joined in a celebration of Women of Aviation Worldwide Week by participating in a noontime lecture on "Women in Aviation - The Early Years" presented by Ron Mathis at Southwest Research Institute on 8 March 2017. Women of Aviation Worldwide Week is an annual celebration of women's historical contributions to aviation. It is held each year during the week that includes March 8th, commemorating the first female pilot license worldwide earned by Raymonde de Laroche on 8 March 1910. Events are held to raise awareness of aviation's opportunities for girls and women, and sparks vocations among the female population by introducing girls and women to aviation through industry-wide collaboration.